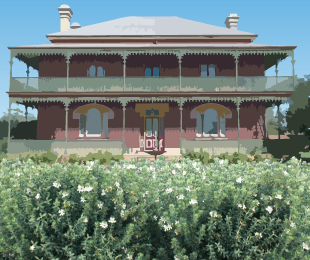 Plants of the Westringia variety are another highly versatile Australian native that suits a wide variety of uses ranging from expansive groundcover, to colourful formal hedges, box gardens, retaining walls or as an ornamental shrub. 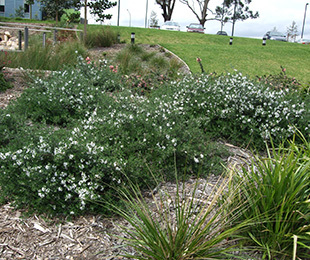 Westringia will retain a healthy bushy appearance for many years without developing the woody appearance that spoils some groundcover plants. 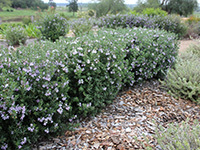 The westringia varieties feature dense, fast-growing foliage with delicate mauve, blue-purple or white flowers with contrasting red or brown spots near the throat of each flower. The grey to deep green leaves form attractive whorls around the stem. 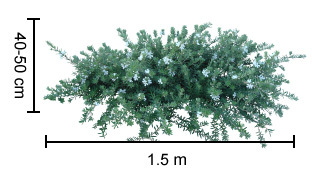 Westringia usually flower prolifically, often throughout the year, and also respond well to pruning. 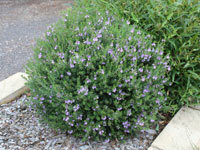 The popular Westringia owes its common names, ‘native rosemary’ or ‘coastal rosemary’, more to the shape of its leaves than any distinctive aroma. The leaves are often covered with an attractive contrasting grey or white velvety sheen. Westringias are part of the mint family (Lamiaceae) but neither the leaves nor the flowers have a strong aroma. The name westringia is a reference to the 19th century Swedish lichen authority and royal physician, Johan Peter Westring. Where Should I Plant My Westringia? 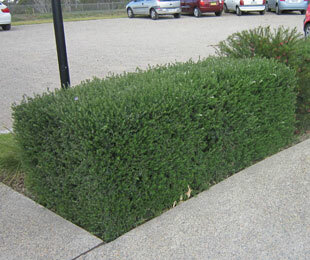 Westringia are great low maintenance plants with so many uses. The flowers are particularly attractive for bees and small birds and that’s a great bonus for the overall health of your garden. The contrasting foliage colouring really lifts potentially drab border gardens or retaining walls. 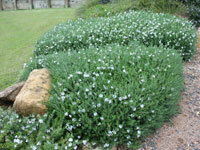 Westringia make a great alternative to Lillypilly for hedges. Being native to Australia, westringias have developed a hardy tolerance for a wide range of climates including drought, cold and frost, and humid conditions as well. 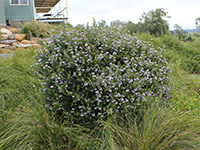 Westringia naturally occur on coastal cliffs and will do well in all coastal settings. They generally like full sun and soil with adequate drainage and will cope perfectly well with sandy soils. Westringias have a low watering requirement so that’s another big plus for most gardeners and keeping them well-mulched through the hot summer months will reduce their thirst even further. 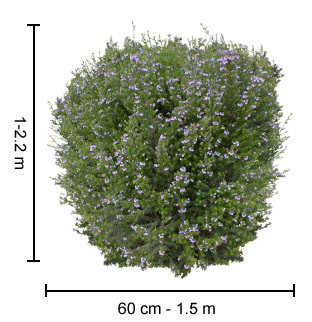 Which Westringia Is Best For My Needs? We have put our westringia varieties through rigorous sourcing and trialling processes to meet that goal. Blue Gem™ is one of the most prolific flowering westringias and its exquisite blue-purple flowers will completely transform any garden edging or retaining wall. Blue Gem™ flowers throughout the year but is particularly prolific in spring. It tolerates cold and drought but does not like wet feet so make sure the soil is well drained. Grey Box™, as the name suggests is a great choice for box plantings with its naturally rounded compact form, grey foliage, and white flowers. Grey Box™ is highly drought tolerant. 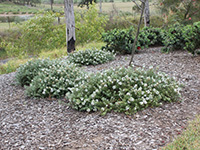 Low Horizon™ is a really low maintenance westringia with a lower, flatter appearance than other westringias and is a great choice for plant and forget ground cover. Occasional pruning will enhance the tight dense nature of its growth habit. 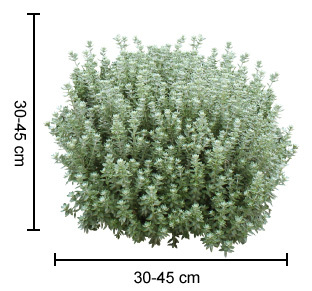 Mundi™ is a dwarf form that provides expansive ground cover. Mundi™ likes full sun and will grow quite happily in pots. 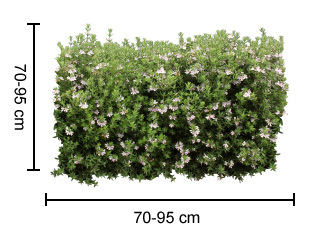 Naringa™ is ideal for coastal hedging and screen plantings, it grows naturally to more than 2 metres but can easily be pruned back to 1 metre high by 60 cm wide where space is at a premium. Dense green foliage contrasts nicely with delicate mauve flowers that will keep the birds very happy. Aussie Box® has a lovely natural shape that makes it perfect for cottage gardens or can prune it for an immaculate looking box garden. 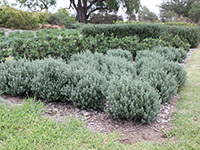 Aussie Box® copes well with full sun and partial shade and is both drought and frost tolerant. 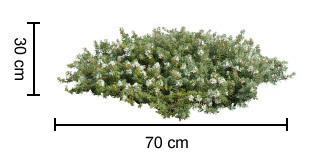 How Should I Prune My Westringia? 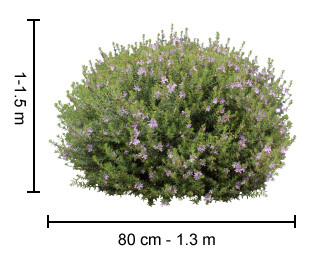 Westringia are fast growing bushy plants that will retain their dense foliage and many of the varieties will naturally form the well-rounded bushy shapes that make them ideal for hedging. Regular pruning will produce a tidier, denser foliage and is necessary if you need immaculate boxing but in cottage gardens or for ground cover situations you can just let them do their thing. Pruning the tips after flowering has finished will encourage strong growth. Tip pruning is especially important to prevent wind damage or toppling if the plant is becoming too heavy on top. If you want to maintain a dense hedge then you should also cut out some old growth from the centre of the plant every third year or so, to encourage more new shoots in the middle of the plant. 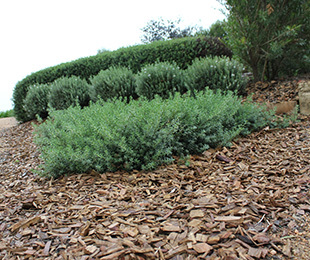 Aussie Box®, for example, can be left un-pruned or you can prune it to shape 2 or 3 times a year whereas Mundi™, with its expansive ground cover will do a great job of keeping weeds at bay even if, like many gardeners, you lose your secateurs in the compost pile from time to time. Soft tip cuttings are also a great way to propagate additional plants. Take soft tip cuttings (end growth less than 10mm in diameter) in spring or summer. Trim so that only a couple of leaves are left and dip the end into a rooting hormone to encourage root growth. Plant in some propagation mix and keep moist. Covering with a plastic bag will help to maintain humidity but keep an eye out for mould. 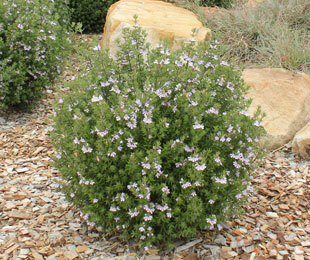 Westringia is a very hardy plant that suffers from few known pests or problems. Wet feet is probably one of the biggest issues so make sure there is good drainage around your plants. This wide range of species gives growers an enormous gene pool for bringing exciting new cultivars into production. Ozbreed is part of that garden revolution and uses the latest technology and clever innovation to bring only the very best plants to your garden. 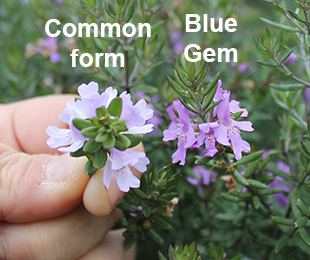 Ozbreed and Westringia offers the perfect combination for nearly every garden situation.